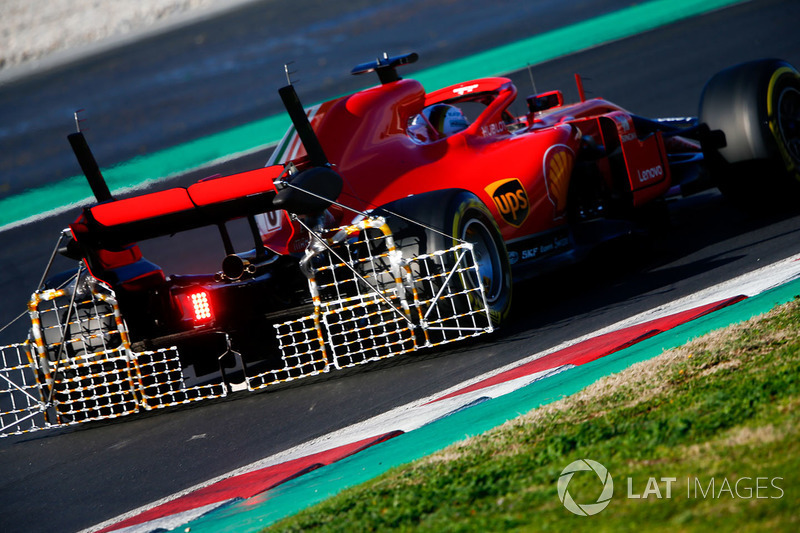 Not only did Mercedes get on top of its own issues, Ferrari’s technical updates faltered in the latter stages of the season. 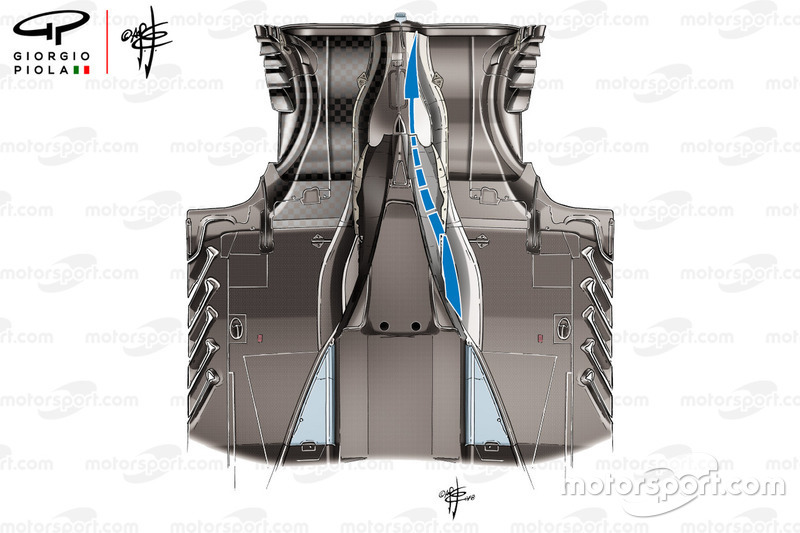 That said, at least the Scuderia innovated throughout the season and kept up its development rate – which had previously been a deficiency – right the way through its title tilt. 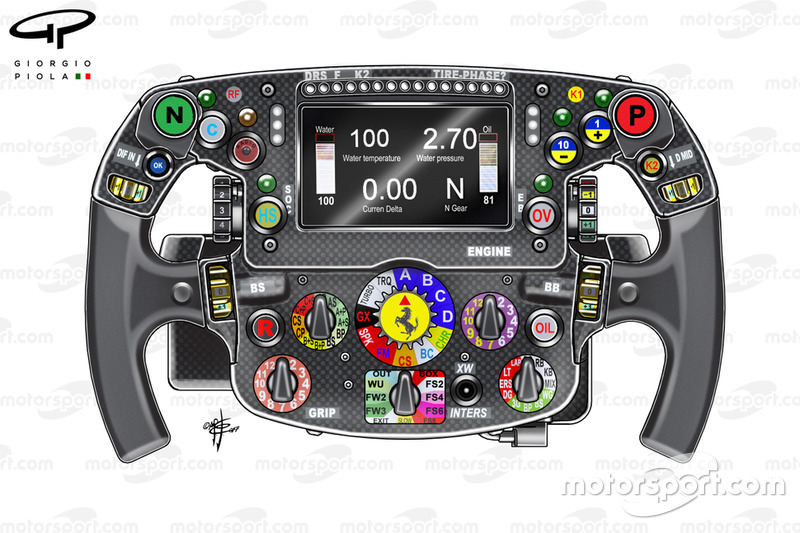 A fantastic illustration of the SF71-H’s steering wheel, in which we can see the various buttons,togglesandrotariesthat the driver has at his disposal in order to make changes to the power unit. 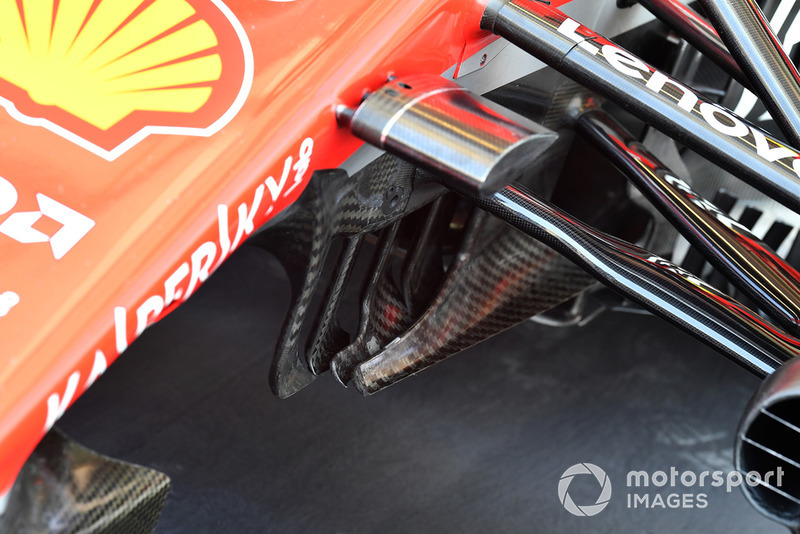 A close up of the SF71-H’s ‘S’-duct inlet, which you’ll notefeaturesseveraldivisions. 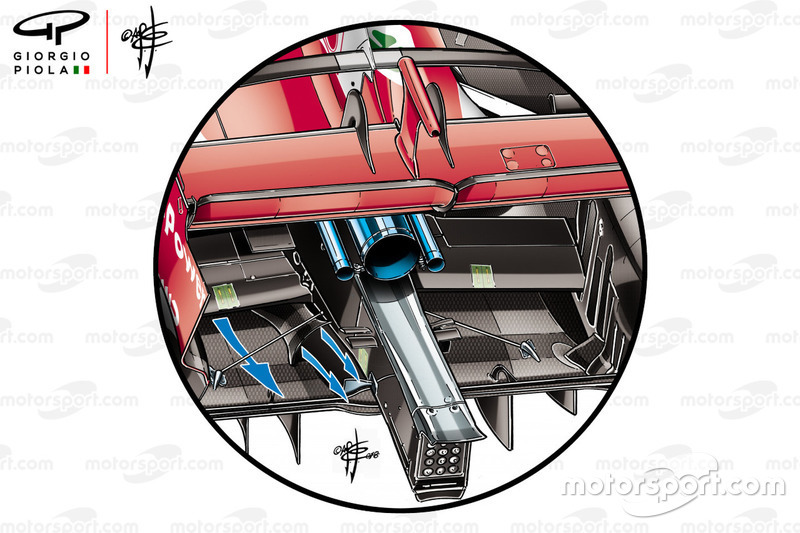 A close up of the SF71-H’s turningvanes,note that the two forward-most elements are mounted on the underside of the nose, while the rearward elements are attached to the chassis. 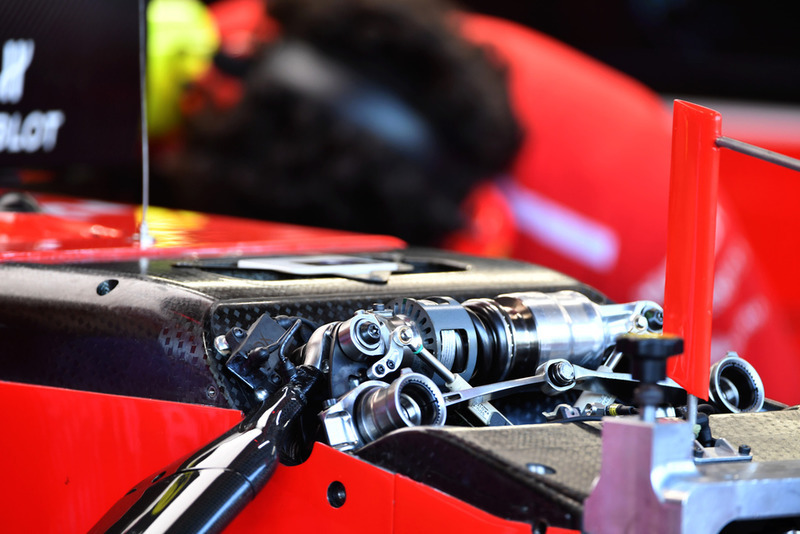 Without the vanitypanelwe can see some of the various components that make up the SF71-H’s front suspension. 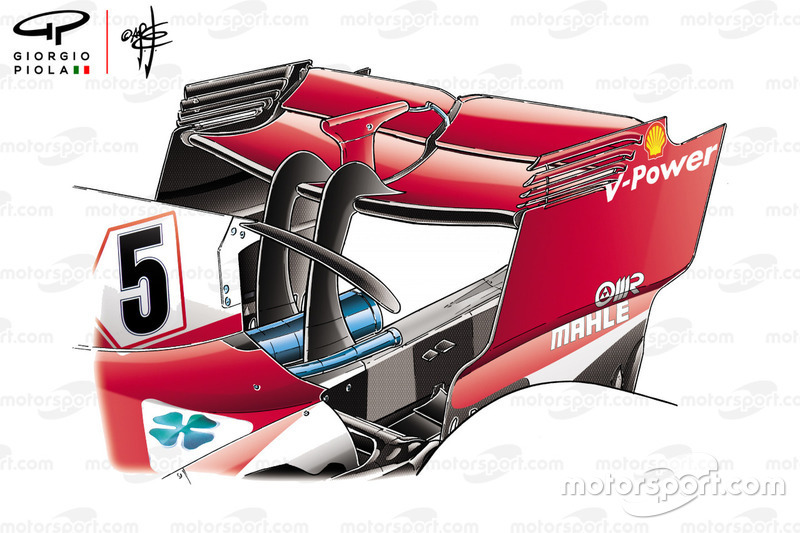 An amazingly detailed illustration of the SF71-H’s floor, note the revised splitter extension (older specification inset). 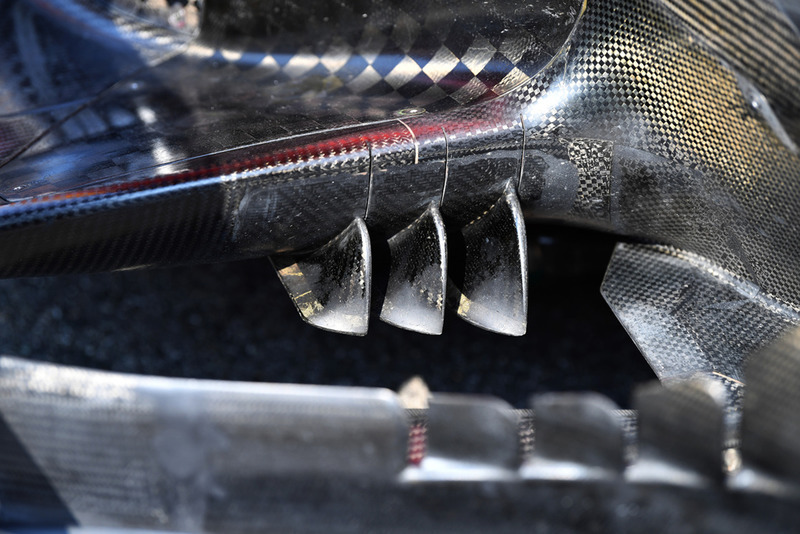 A close up of the three strakes mounted on the leading edge of the SF71-H’s floor responsible for tidying up andre-energisingthe airflow. 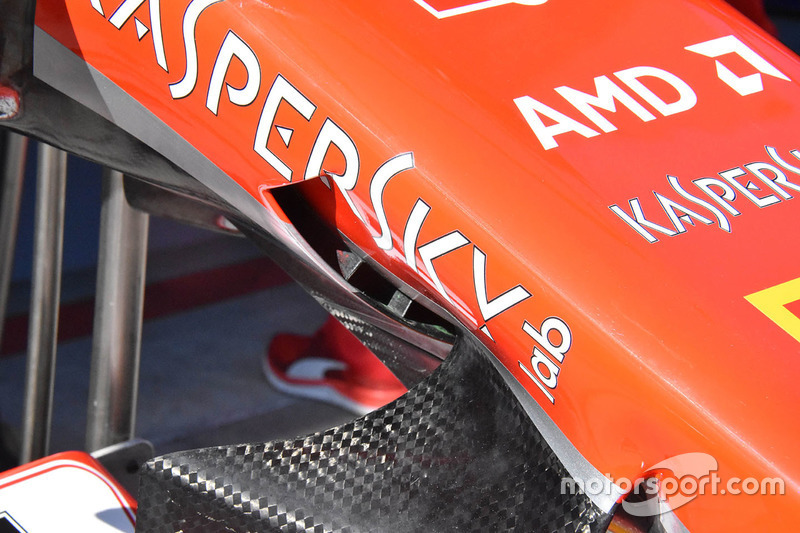 A close up of the SF71-H’s rear wing strakes and the outer corner of the diffuser. 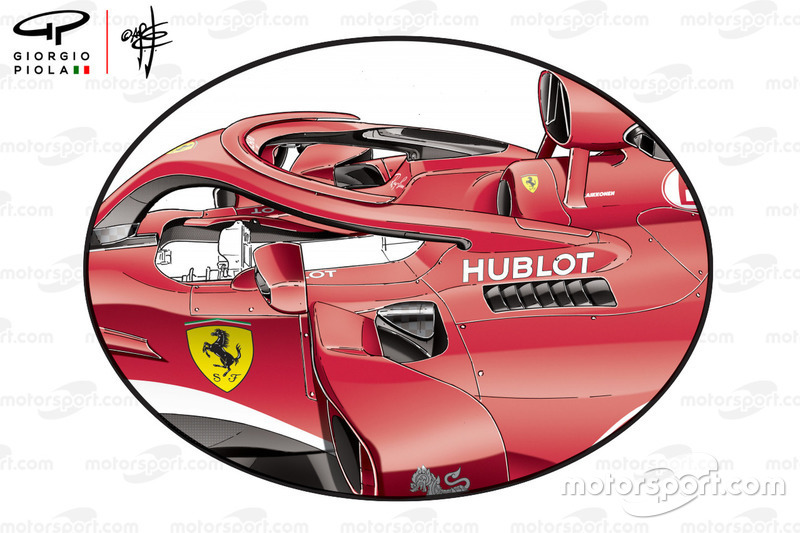 The SF71-H featured a concave section in the floor above the diffuser that was used to channel airflow around the car’s coke-bottle region, gearbox and crash structure more effectively. 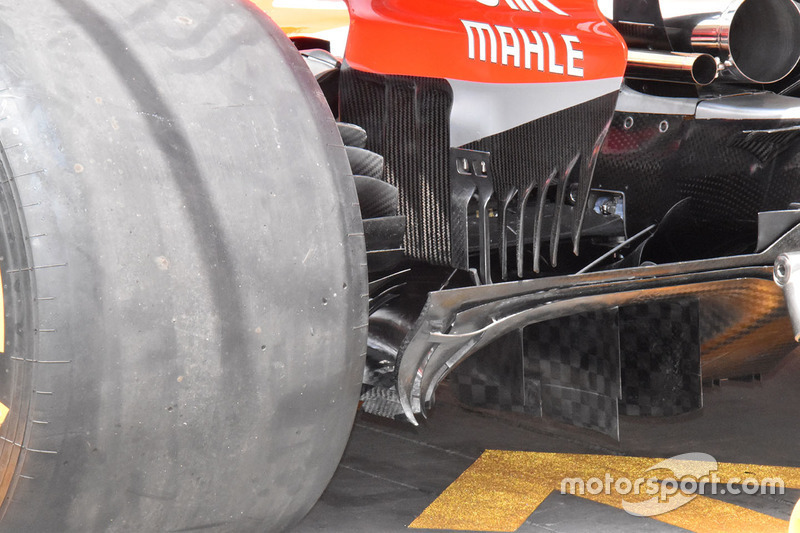 Another view of the channels created either side of the car’s rear crash structure. A great side view of the cockpit region, showing the winged halo fairing two-piece mirrors and uppersidepodinlet. 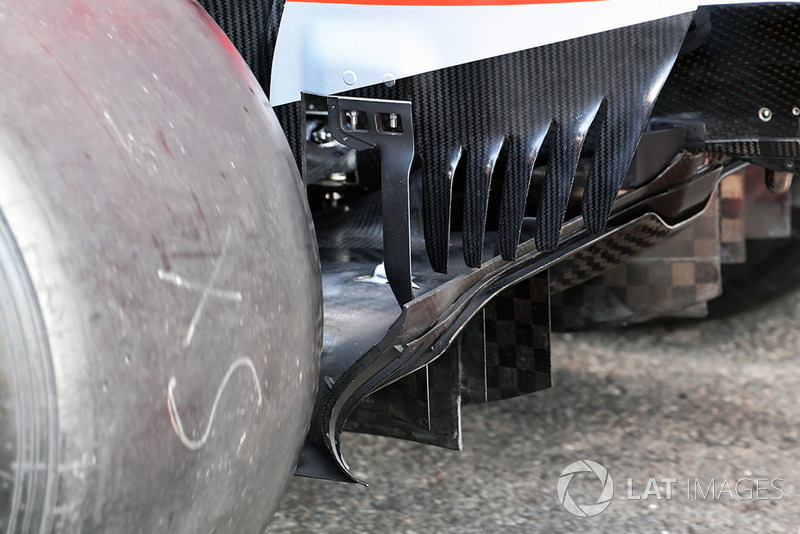 A close up of the outer corner of the diffuser and the various flaps that surround it. This illustration of the front brake assembly without the brake drum on gives us a better understanding of what goes on under the skin. 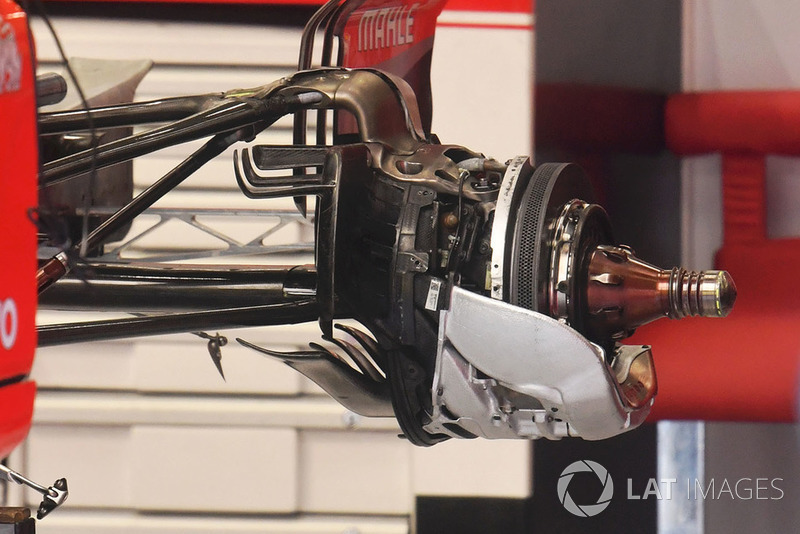 A great shot from the garage of the rear brake assembly without the brake drum attached. 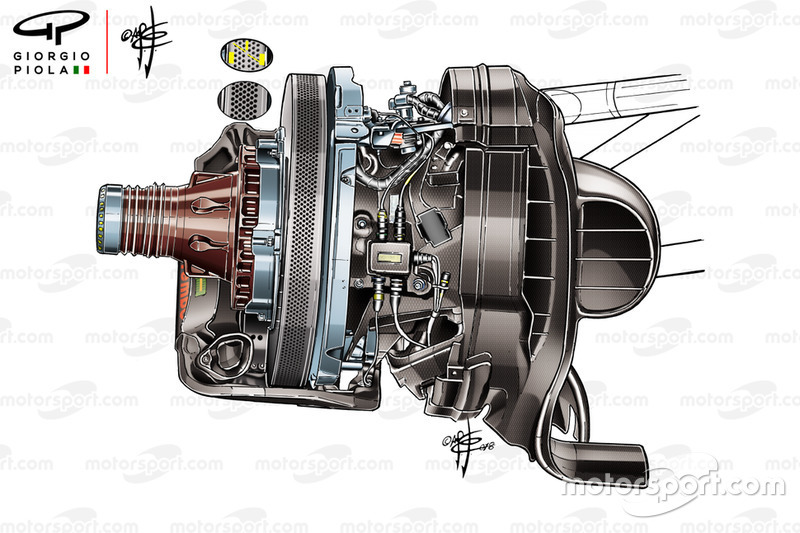 This gives us a better view of the internals, including the pipework used to cool the caliper. The SF-71H laden with kiel probe arrays as the team looked to gather data during the pre-season tests. 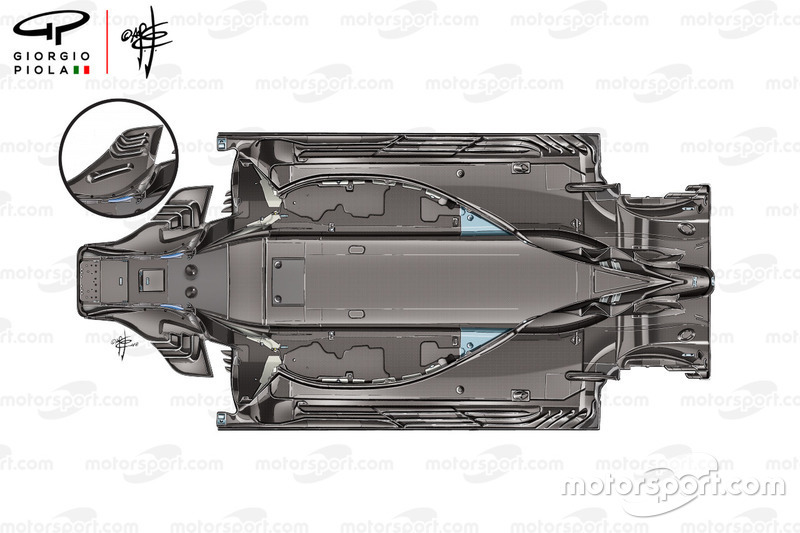 The team utilised a spoon-shaped rear wing for the Azerbaijan GP, as it looked to reduce drag but also retain a decent chunk of downforce for the trickier second sector.